A contemplative journey into self-inquiry and the "way of subtraction". 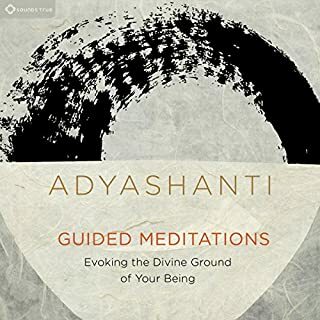 Adayshanti invites us to explore the original purpose of meditation: a gateway to the objectless freedom of being...of awareness itself, beyond the notion of "myself". To be spiritually awake is to deeply feel your connection with the whole of life. The One of Us is an exploration of this sacred connection as it expresses through two human partners. 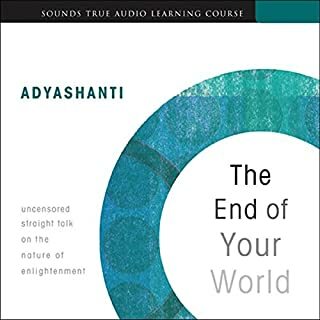 In their first full-length audio-learning program, Adyashanti and Mukti present six sessions to help each of us - whether preparing for or currently in a relationship - to realize and honor this connection, to protect it, and to begin to move, speak, and act in alignment with the love that lives all of us. At last, some real answers! More people are "waking up" spiritually, discovering a sense of identity beyond any ideas of a seperate self. 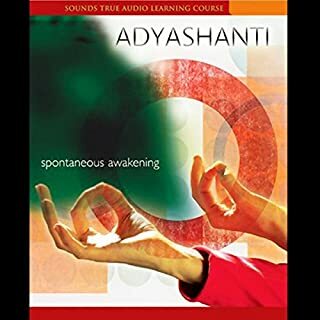 In the Dawning of Awakening, Adyashanti describeswhat he calls the virtual reality of everyday exsistence, and what happens when we begin to emerge from this dream into a much vaster world. In Who Are You?, American-born spiritual teacher Gangaji spells out the bedrock principles of self-inquiry, a cluster of no-nonsense concepts that reveal how to effortlessly step outside limited psychological conditioning and mental constructs into the freedom, expansiveness, and peace of your own true nature. I enjoyed this listen immensely! "So many of us hold a deep belief that we were born unworthy," reflects Adyashanti, "inadequate, unlovable, and alone." But what if, in truth, we weren't put here to pay penance, change our karma, or "fix" ourselves? What if we chose to be here because we so loved the world that we poured ourselves into it - to make it whole again, to restore "the hidden divinity amid the disaster"? With Healing the Core Wound of Unworthiness, we're invited to entertain that possibility. Even after years of meditation, Adyashanti felt an enduring sense of self-disappointment and failure. And he sensed it in nearly everyone he met - even among the most confident, successful, and outwardly happy people. Then healing came to him in a profound experience of redemptive love, a reunion with the deepest ground of being. It is a gift offered to all of us - without struggle or the need to earn it. In essence, it says to us: This is how I love you. And this is how you shall love all things and all beings. Such precious, potent, practical wisdom. And Adyashanti's voice compels deep listening. This is a gift! Loved it! Topic not often dealt with directly. 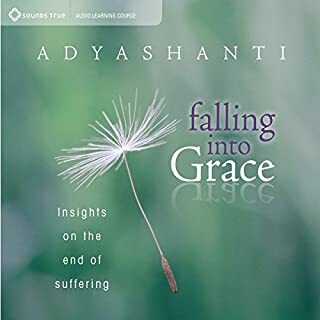 Usually redemptive love is approached in a sort of tangential manner, but Adyashanti goes straight forward and touches upon it in a very direct and thorough way. The exercise at the end of the talk makes it a visceral experience, so as not to be just all theoretical. Bravo! I cannot but listening with my opening geart whole night and after that I feel that is the first moment in my life I accept humanity as it is. I'll definitely be giving it another listen before long. 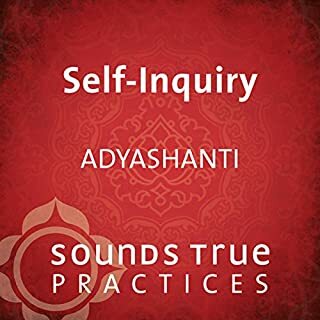 Adyashanti's books and lectures keep getting better and better. Where does Healing the Core Wound of Unworthiness rank among all the audiobooks you’ve listened to so far? It's definitely one of the best. The content and the delivery worked together beautifully. Adyashanti shared personal experiences and deep insights into those experiences. It was as though a really good friend was letting you into his personal process. I have. I liked this one a bit better because it was targeted on a specific topic. Not your typical movie material. This is an excellent audiobook. I would highly recommend it. Good concept, that gets you to think. However, Needs more practical experiences. Leaves the listener asking the question "Great, but how?". Highly recommended for healing the body the mind. He is a wonderful human being with a big heart. Excellent delivery of excellent material. Sometimes the narrator's voice would sound raspy or shaky and I would have found it easier if he would have stopped to give it a rest and then re entered. The deepest of invitations to solve your longing. No answers here. Just a gentle open door to the Inside. Deep insight shared so simply. Loved the practices. This book is transformational and I am deeply grateful. I found this book to be incredibly healing and soothing to my troubled soul. The wisdom of the words and the profound truth are totally inspiring and uplifting. A real gift to the world. Thank you. 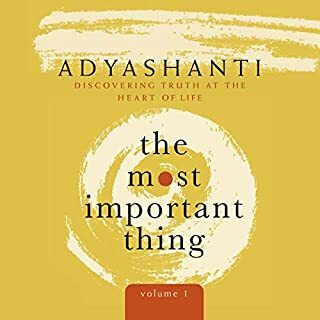 Adyashanti is a rare and beautiful soul! Just listening to his voice lifts my spirit. This is a call open our hearts. I loved listening to this. In this world full of hatred this book was very refreshing. I recommend this to anyone seeking a new spiritual beginning. The voice was soothing, but I didn't feel there was much structure, rather a conversation/monologue that was packaged up for Audible. I've listened to this many times now as there's such a profound message in here. Every time I understand a little bit more.. I couldn't recommend this more highly. Make sure you listen more than once! Wonderful, soul-inspiring and truly healing. One of the most healing and relaxing books I've listened to. The author and narrator gives such a soothing and genuine performance. The idea he presents is truly inspiring for ones-self, family and humanity in general. If you struggle with guilt of past issues relating to family then this is the book for you. 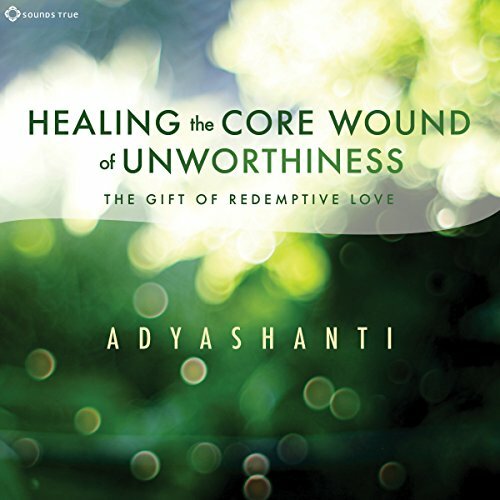 As usual Adyashanti provides a moving, honest and practical interpretation of unworthiness. There are two practices included which I will continue doing. I would thoroughly recommend this audiobook. Well worth it. Rich in wisdom thought provoking. Challenging. Well spoken. With gratitude much appreciated. Wanted it to be longer! But at the same time it was perfect.